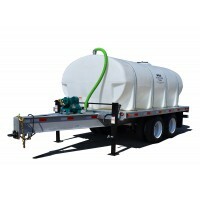 1625 gallon waste tank with triple axle galvanized trailer. Includes Mud Sucker pump technology, all hoses and custom features. 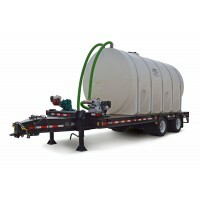 1625 gallon waste tank, triple axle galvanized trailer. Includes Mud Sucker pump technology, all hoses and custom features. High Volume Septic Waste and Waste Oil Transfer Made Easy. 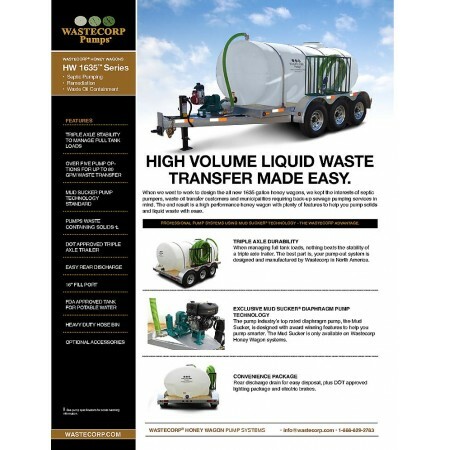 The high volume septic, remediation or fryer oil collection system from Wastecorp is available from 1635 gallon to 2035 gallon models. This system features severe duty engineering with elliptical leg tanks with a 16" dia. top opening port and 2" diameter drain. 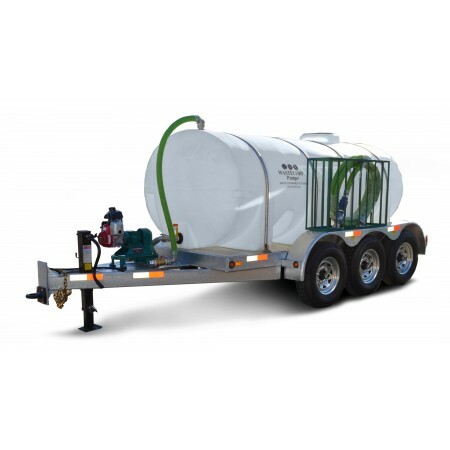 Customers of this system include municipalities requiring back up waste collection systems, campground and resorts for RV and camper waste and hotels in need of an auxiliary pump out system in the event of power outages or overflowing sewers. Check out all the features of this heavy duty and cost effective solution for your facility. 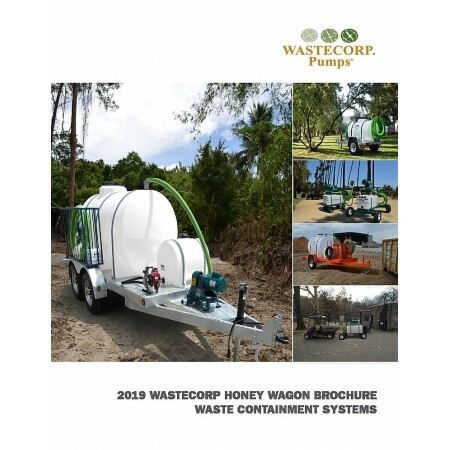 With our flagship honey wagon pump outs you can customize with automated jack systems to make raising and lowering your pump out easier than ever before. Storage compartments and advanced safety features also come standard. 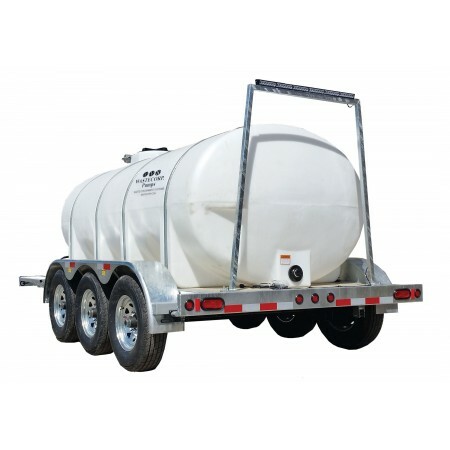 The 1635 Series also includes a government approved trailer package with rear discharge. This makes it easier to empty your tank at an approved dump station. LED lighting and break-away switch is standard.